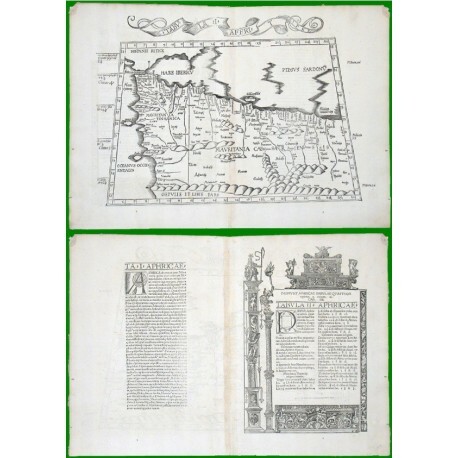 > Antique Maps and Views>Africa>Northern Africa>Tabula I. Affri. Northwest Africa. "Tabula I. Affri.". Orig. 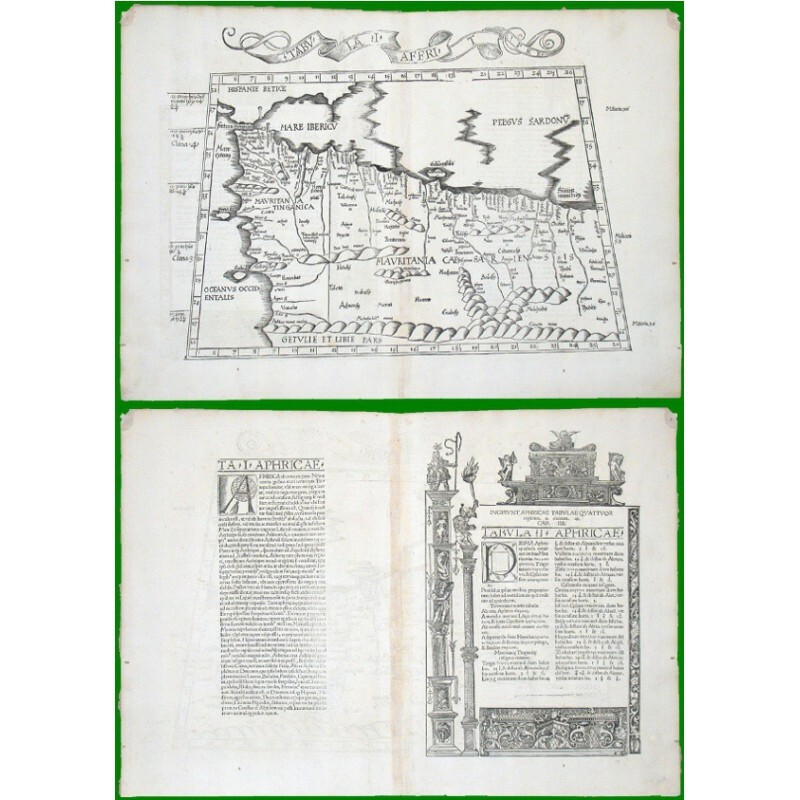 woodblock, L. Fries after C. Ptolemy's map. Published by J. Grüninger, Strasbourg, 1522. With title in a decorative border above the map. 32:48 cm (12 3/4 x 19 inch.). Laurent Fries' (1485-1532) first edition. A Ptolemaic map of Nortwestern part of Africa. - Norwich: "... the woodcut border and ornaments on the verso are said to be the work of Hans Holbein".